Tasmania is an island State of Australia. Located in the Southern Ocean, our wild trout are disease free. Australia and Tasmania have strict quarantine laws to protect the natural values that we all enjoy. These laws minimise the potential for unwanted introductions, protect native fish and the integrity of Tasmania's aquatic ecosystems. Anglers and visitors need to think about biosecurity when fishing in Tasmania. Declare any used fishing equipment when arriving from overseas. Check, Clean and Dry your fishing equipment before coming to Tasmania. Didymo or Rock Snot is a freshwater alga and is widespread in the Northern Hemisphere. It is highly invasive and a major pest. Rock Snot has not made it to Australia, yet, and we are doing everything we can to stop it coming to Tasmania. Anglers who are visiting Australia or returning from an overseas fishing trip must declare all used fishing equipment for inspection. Don’t bring felt soled wading boots into Tasmania. Please Check, Clean and Dry your fishing gear and other freshwater equipment before arriving in Australia. If you do not it will be seized and treated by Australian quarantine. 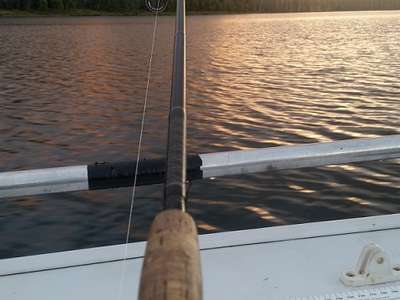 When angling, clean your fishing equipment, including boat and trailer, between waters and fishing trips. Check your gear and remove any algae, weeds and seeds. Scrub in a 2% solution of household bleach (200 ml bleach mixed with water makes 10 litres) or a 5% salt, nappy or antiseptic cleaner or dishwashing detergent solution. Soak in the solution for a minimum of one minute. For even better results, use a hot water solution and soak for 30 minutes. For items that are difficult to clean and dry, soak for 45 minutes in water kept at 45 degrees or higher in a solution of 5% household bleach, dishwashing liquid or nappy cleaner. Dry your gear completely and wait an additional 48 hours. Some materials may need much longer, even several weeks to dry. Using hot air is a faster alternative when available. You cannot bring live bait into Tasmania. This includes all types of fish, mainland yabbies, mudeyes and frogs, dead or alive. You may not use fish or fish products as bait in any inland waters other than those sections of rivers subject to tidal movement. Frogs cannot be used as bait. You cannot use or possess bait in waters reserved for artificial lure or fly fishing, National Parks and the Tasmanian Wilderness World Heritage Area (TWWHA) (except lakes Mackenzie and Augusta where a single, handheld rod is allowed). Fishing flies and artificial lures made from processed feathers and/or fur do not need an import permit. If they have been used in fresh water overseas they will need inspection to be sure they are free from contamination/debris and dry. Have these accessible in your checked luggage for inspection. Feathers and fur will need treatment on arrival into the country. This may create delays. Hooks, beads, threads and synthetic materials along with fly tying vices are allowed. A number of local fishing tackle shops can supply feathers and furs. Pre-ordering will ensure they have what you want. You cannot transfer or stock fish, including mainland yabbies, into any waters (farm dams, creeks, rivers, lakes) without permission from the Inland Fisheries Service (IFS). You cannot bring live fish into Tasmania for aquariums without permission from the IFS. If released, aquarium fish could establish and endanger fisheries and fish habitats. The greatest risk are aquarium fish with cold-water temperature tolerances or those carrying disease and parasites. Do not release the contents of aquariums; garden ponds/water features (i.e. fish, plants and water) into lakes, rivers, farm dams, drains or down the toilet. Contact us for correct and responsible disposal of unwanted fish, aquatic animals and plants. Buy your aquarium fish from a local store. 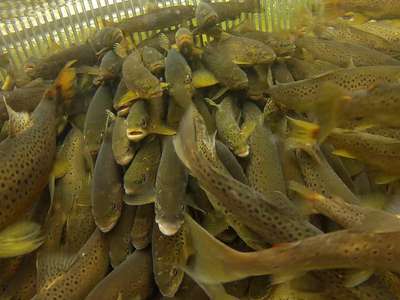 Aquaculture in inland waters must be licensed by the IFS. Contact us to discuss aquaculture opportunities in Tasmania. Some fish have the potential to seriously damage recreational fisheries, the environment and harm native species. These fish have been declared 'controlled fish' under the Inland Fisheries Act 1995. This applies to all species of mainland yabby (Cherax spp. ), European carp and Eastern Gambusia. Under the Inland Fisheries Act 1995 it is illegal to import, release, transfer or have possession of these species in Tasmania. Fines of up to $25,000 can be imposed. 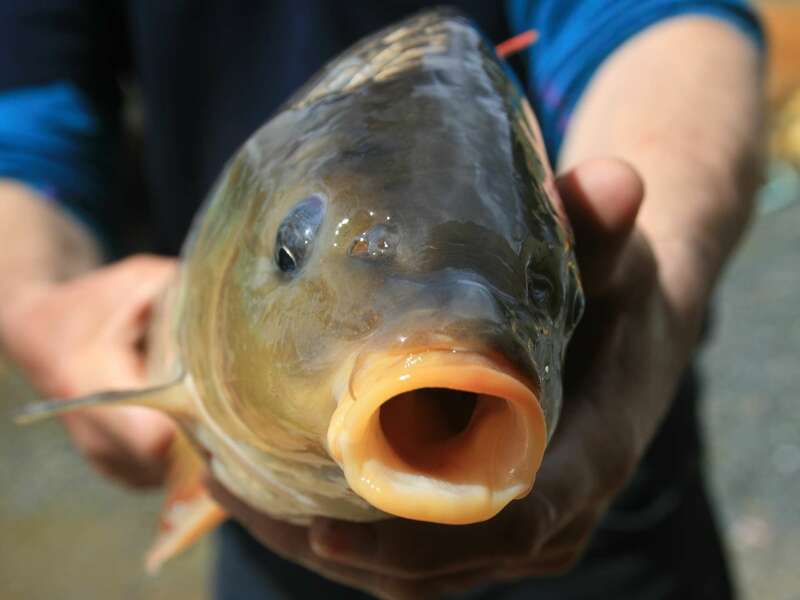 The Inland Fisheries Service is concerned about limiting the spread of redfin perch, tench and goldfish. These species detract from recreational and native fisheries. These species are found in some waters in Tasmania. It is important that anglers do not move them from one water to another.